If you saw yesterday's post about the SHOUT SA campaign, you'll recognise this photos as being from the same area - in fact, the corner that you're looking at is the same one in yesterday's photo, except this is from a different angle. 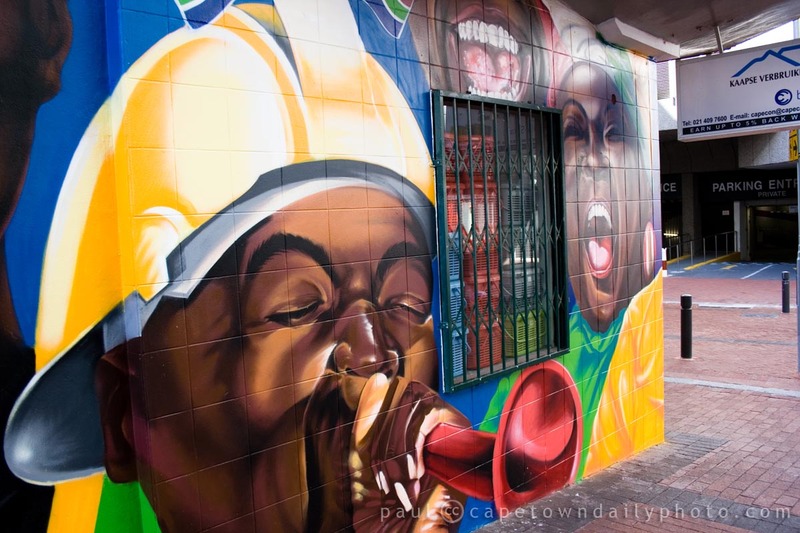 Wouldn't it be awesome to have all the walls in this part of Waterkant Street decorated with this kind of art? Click here to see exactly where you can find these murals. Posted in General on Thursday, 5 August, 2010 by Paul.